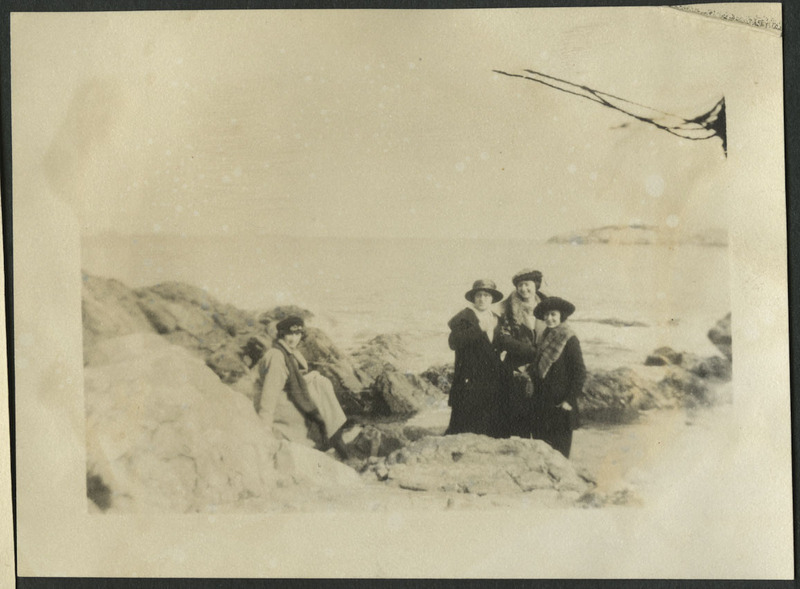 Photograph likely of Ruth Dorcas Gates (left-bottom corner) and two friends, sitting on rocks by the shore. 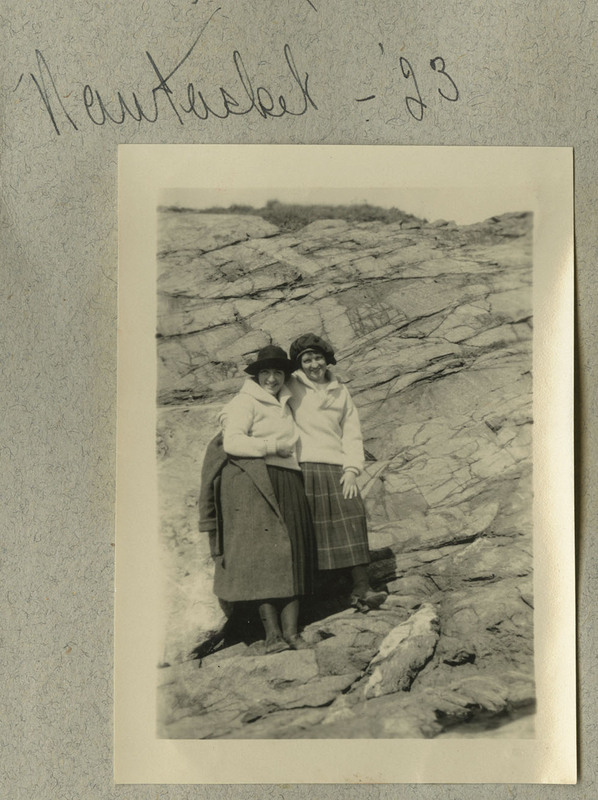 Their bodies are facing the sea, while they look over their shoulders at the camera. 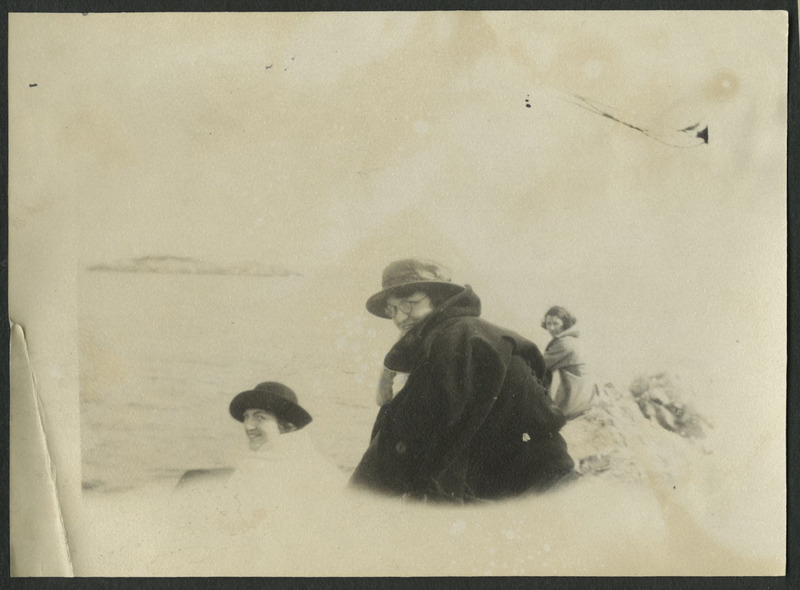 All are dressed in warm coats. 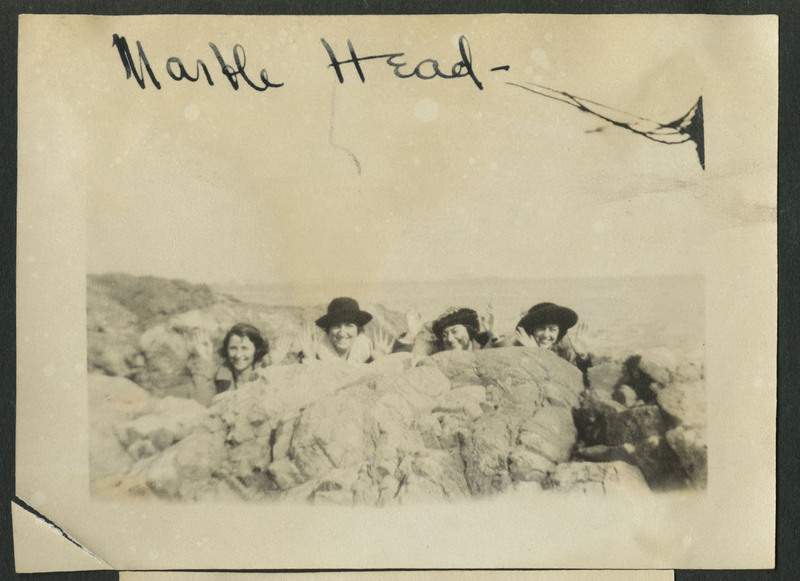 Possibly Ruth Gates second from right in the foreground. 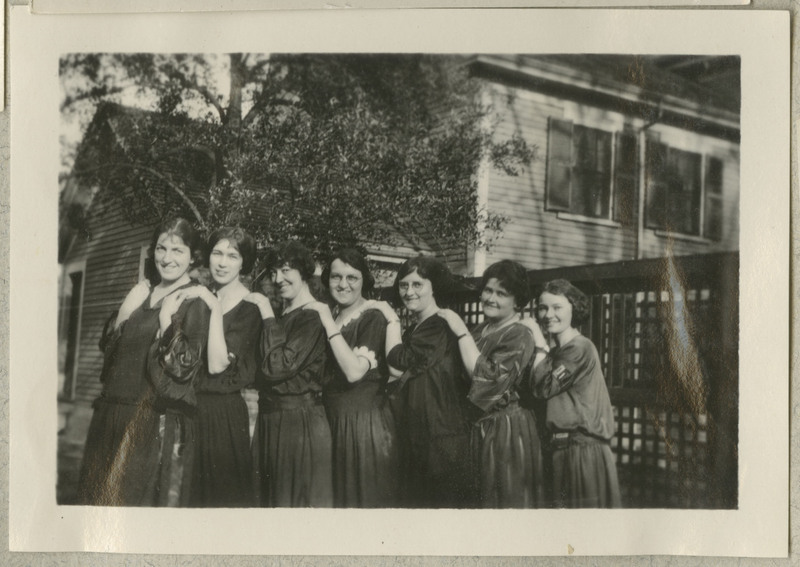 Caption: "Nantasket - '23"
Photograph of seven women with hands on each others shoulders in front of a house and trees. 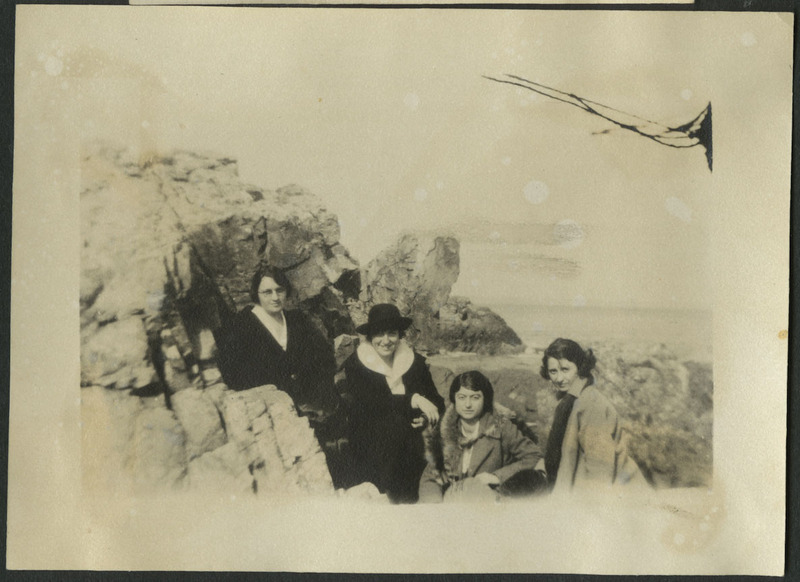 Possibly Ruth Gates on far left. 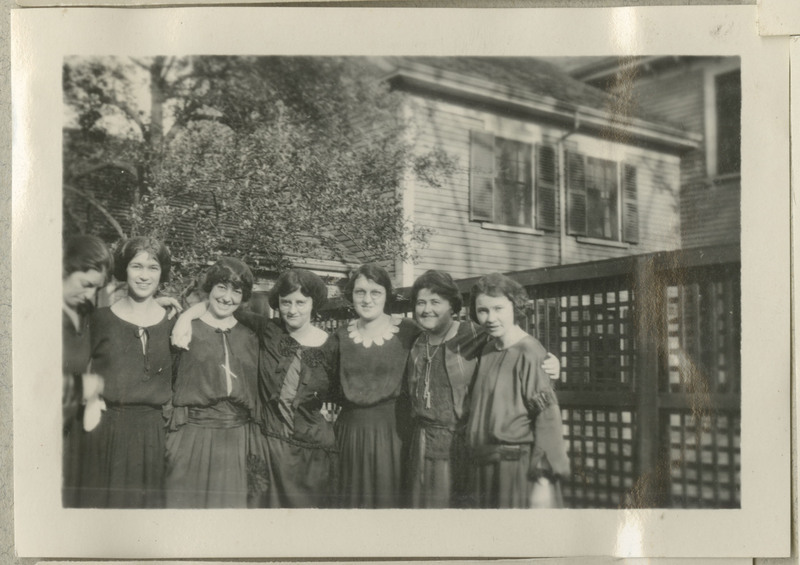 Photograph of seven women posing outside in front of a house and fence. The edges are blurry. 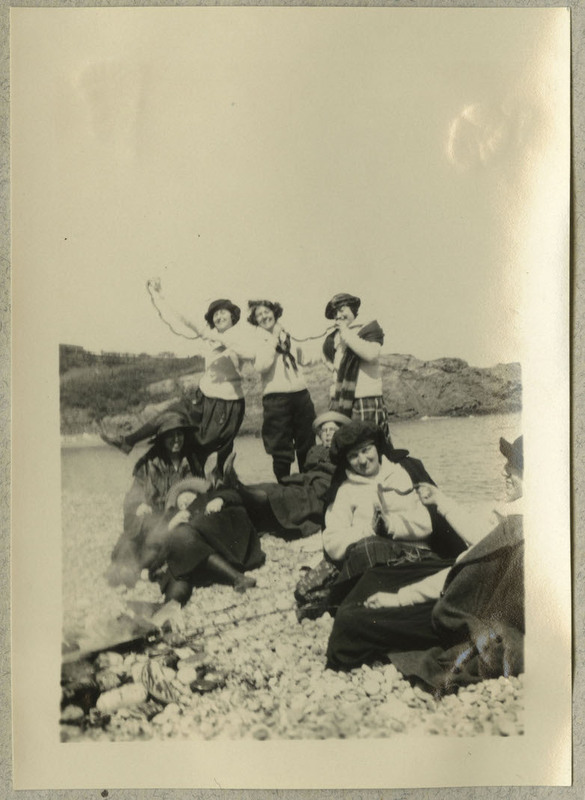 It is possible that the seventh woman, mostly cut out of frame in the blurred section, is Ruth. 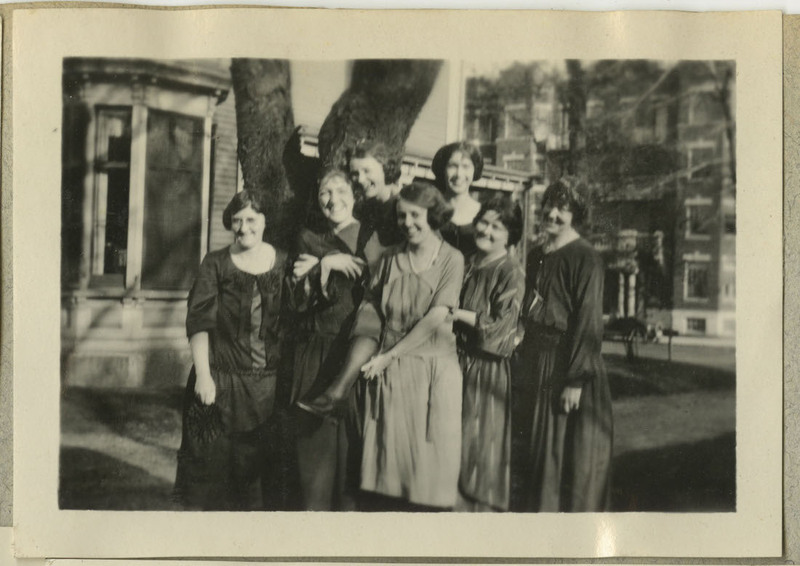 Likely Ruth and six unidentified women pose laughing by a tree outside. 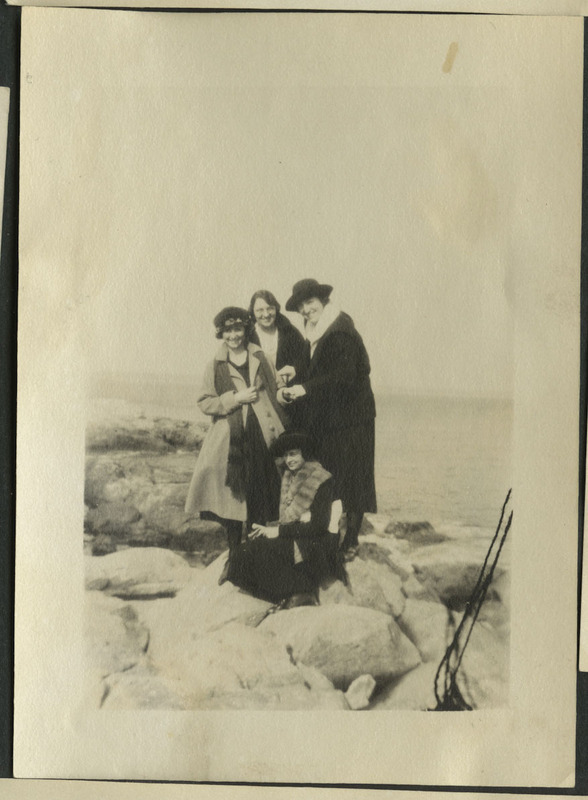 One woman is possibly perched on Ruth's back. This website © 2017 Simmons College.